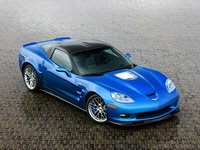 CarGurus has 22,630 nationwide Challenger listings starting at $5,995. The classically designed 2010 Dodge Challenger five-passenger coupe is available in three trims, the base SE, the track-worthy R/T, and the muscle-flexing SRT8. While evoking images of a bygone era by delivering traditional Hemi V8 power in its two higher trims, the Challenger is a bit less powerful than the Chevy Camaro and a tad less refined than the Ford Mustang, both of which constitute its major competition. But the Challenger is, nevertheless, touted as providing a somewhat more practical driving experience - more touring than tearing – than its reprised rivals. Additionally, for 2010, this snappy coupe upgrades its SE trim with a standard five-speed automatic transmission and standard stability control, while additionally re-releasing the once-popular Plum Crazy and Detonator Yellow exterior colors. Three engine choices are available in the 2010 Challenger, with the SE offering a 3.5-liter V8 and the upgraded five-speed automatic transmission; the R/T, a 5.7-liter Hemi V8 and standard five-speed automatic, with a six-speed manual transmission as an option; and the SRT8 packing a 6.1-liter Hemi V8, again with a choice of the automatic or manual transmission. The 3.5-liter V6 puts out 250 hp and 250 lb-ft of torque to the tune of 17/25 mpg. The R/T’s 5.7-liter V8 Hemi throws down 372 hp and 400 lb-ft of torque with the five-speed automatic or 376 hp and 410 lb-ft of torque with the available six-speed manual. Estimated mileage is 16/25 for the automatic-equipped R/T, and 15/24 with the manual transmission. The SRT8’s 6.1-liter Hemi V8 thunders out 425 hp and 420 lb-ft of torque with either transmission, to the tune of 14/22. Appearance, comfort, and convenience features for the Challenger are plentiful and backed up by a number of performance and convenience options. For the base SE, 17-inch alloy wheels, power windows, door locks, and mirrors, an eight-way power driver’s seat, a tilt/telescoping steering wheel, a split-folding rear seat, and an MP3-compatible single-CD player with four speakers are all standard equipment. The R/T adds 18-inch alloys, sport-tuned suspension and steering, interior ambient lighting, and a USB connection, as well as a leather-wrapped steering wheel and shift knob, while the SRT8 throws standard 20-inch alloys, notched-up sport tuning for the suspension and steering, and a dual hood scoop, plus Xenon headlights, leather upholstery, keyless ignition, six Boston Acoustics premium speakers, and UConnect/Bluetooth communications technology. Options, in the meantime, run the gamut from a power sunroof, premium audio, 18-inch wheels, the UConnect Media Center, and leather-trimmed upholstery for those trims that don’t already carry them, to digital music storage for the SRT8. Safety-wise, the 2010 Challenger equips the entire lineup with four-wheel ABS, traction and stability control, dual front side-mounted airbags, and front and rear head airbags. For the R/T and SRT8 trims, dusk-sensing headlights and front fog/driving lights are standard, while the SRT8 sports a standard remote anti-theft alarm system that’s optional with the R/T trim. Owners of the debut ’09 Challenger are wild about its V8 acceleration and performance, but not so wild about gas mileage. The Challenger’s retro look makes nostalgia buffs of numerous owners, while its disturbing number of blind spots turns others into nervous wrecks when backing and turning. 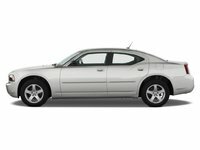 Other issues owners have with Dodge’s ’09 retro-coupe include the lack of springs on its hood, no rear entry on the driver’s side, and the bothersome manually adjustable front passenger seat. Yet the Challenger’s smooth, comfortable ride, sport-like handling, roomy rear seating, and huge trunk have the vast majority of owners either enjoying their youth or re-living it. What's your take on the 2010 Dodge Challenger? GuruC6B2M Who's looking for a better price? Talk to me! Users ranked 2010 Dodge Challenger against other cars which they drove/owned. Each ranking was based on 9 categories. Here is the summary of top rankings. 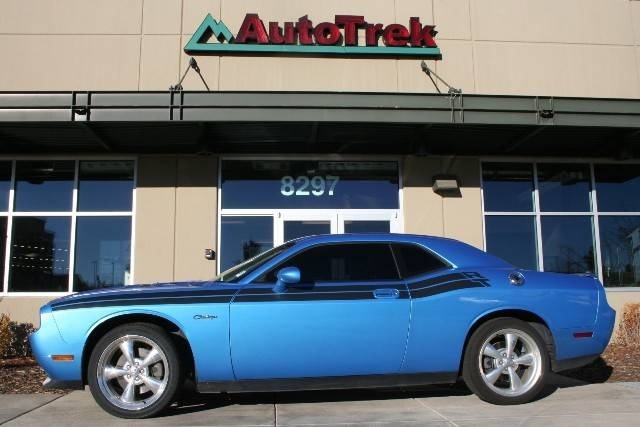 Have you driven a 2010 Dodge Challenger? 2010 Challenger SRT 6.1 AC cooling fan does not come on changed out the fan assembly checked all the fuses and relays, what else do I need to try?